The latest entry in the Resident Evil series, Resident Evil 7, is one of the most successful games released by Capcom in recent times and it has recently reached another milestone. The Japanese publisher has recently confirmed that Resident Evil 7 sold 5.1 million units worldwide. On a related note, the Capcom developed game has received the Best VR Audio award during the G.A.N.G. Awards thanks to its sound design which enhances the experience considerably and the technology that powered it. 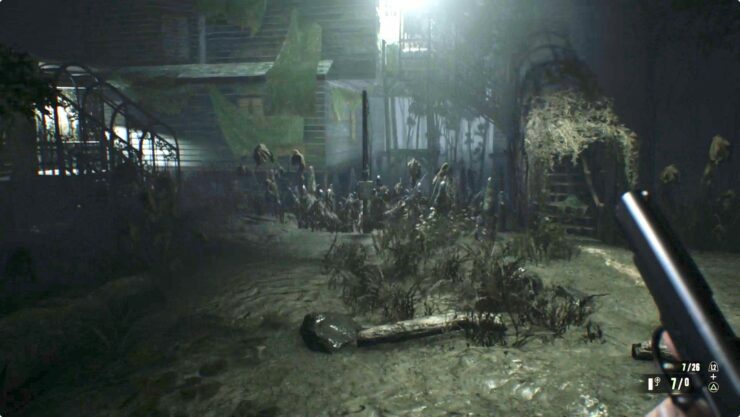 Sound design on RESIDENT EVIL 7 made use of Capcom’s fully equipped Foley stage to produce sound effects that enhanced the characteristics of enemy characters as well as fear-inducing environmental sounds, and even in composing the game’s musical score. Capcom maintains its development environment at the cutting edge of technology in order to fulfill the company’s commitment to creating the world’s most entertaining games, a stance that lead to developing the REMM (Resident Evil Music Module), a proprietary audio tool that runs on Native Instruments’ Kontakt engine and allows for easier layering of tones and effect control. Further, Capcom is continuing to bolster the quality of its sound production, and in April of 2018 opened a second sound studio at its R&D headquarters in Osaka capable of recording and refining 3D audio. Resident Evil 7 is now out on PC, PlayStation 4 and Xbox One in all regions.